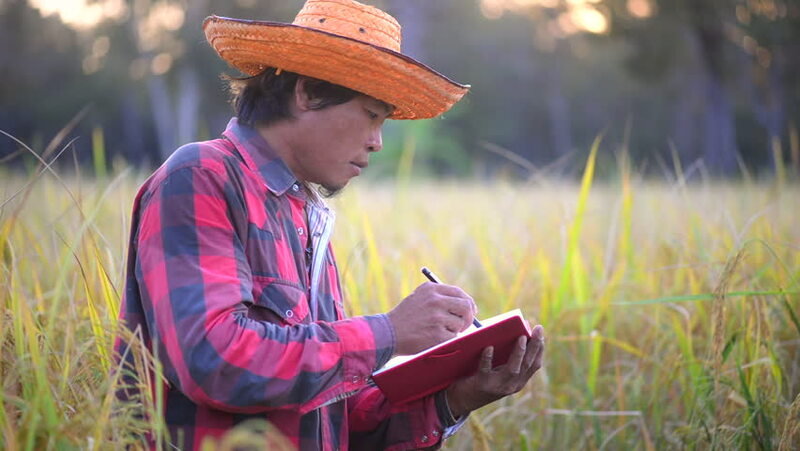 Male farmer writing notes while standing in the rice field in sunset. 4k00:12Adult man picking cherries in an orchard. Mature gentleman with straw hat picking cherry tree fruit. hd00:43Happy farmer walking through rice field. hd00:07Happy farmer standing in rice field raise hands. hd00:28Farmer checking rice in rice field. hd00:09Farmer hand touch and check rice for harvest. hd00:11Happy farmer standing in rice field waving hand. hd00:18Happy farmer stand in rice field. hd00:10Happy farmer stand in rice field and thumb up.